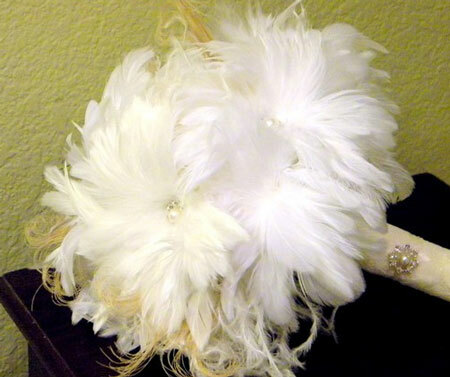 An old time favourite, feathers make an excellent and versatile style & décor wedding idea. Why? 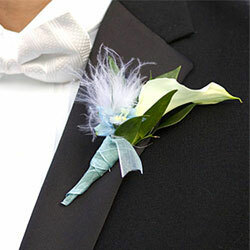 They are fairly inexpensive compared to fresh flowers, giving budget-conscious brides more options. 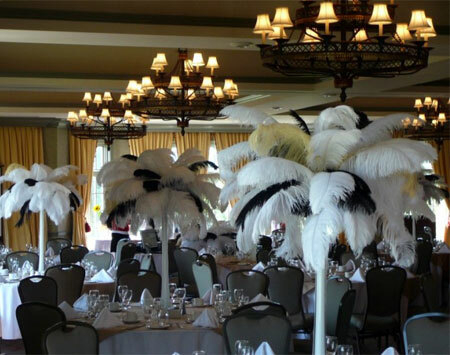 They are a lot easier to arrange than flowers; so they are a perfect alternative for the "do-it-yourselfer"
They create large voluminous displays in a variety of colours, adding drama and interest to any table décor. 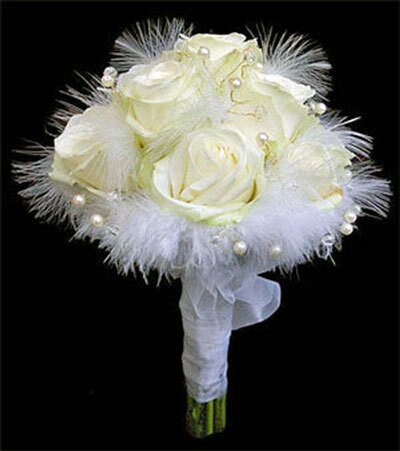 They are elegant and attractive in bridal bouquets and boutonnieres creating an element of uniqueness to your design. They create a fun and light (retro?) atmosphere without weighing down the overall look. 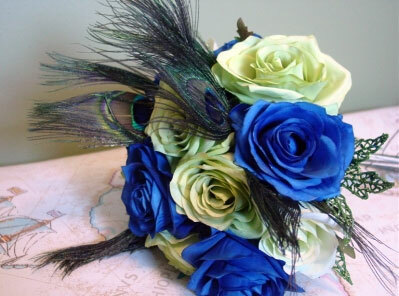 Or, look at this fantasticly vibrant bridal bouquet (from Winnipeg florists Knot To Worry). 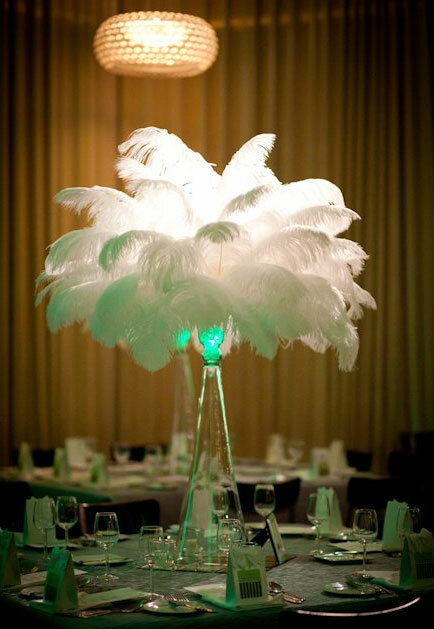 Peacock feathers and roses..
And for our coup-de-grâce: picture perfect centrepieces, using feathers (the top one is ostrich, not sure what the next one is..) as well as crystal - and great light! 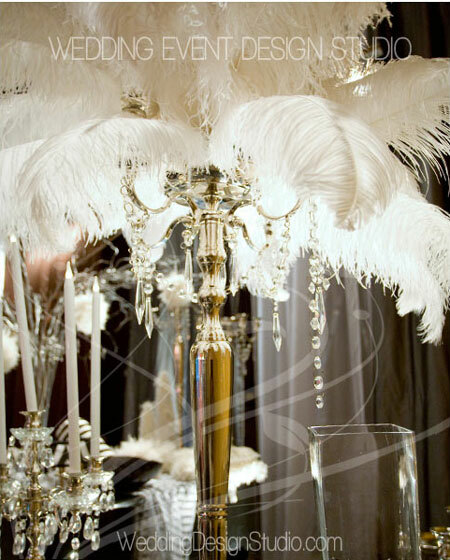 By Vancouver decorators Wedding Design Studio - Wow!